You've got to feel sorry for some of this lot; framed as complete afterthoughts in the wake of Monday's 17-strong announcement of legends, this subsequent seven were framed a notch below Brie Bella. 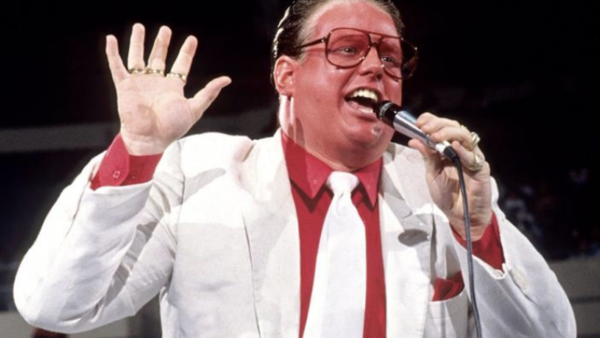 One such man was arguably the most effective - and inarguably the most entertaining - heel of the WWF's 1980s Golden Age. Joining him is a beloved televised authority figure - usually an oxymoronic set of words, but the man was loveable enough to carve out a legacy, possibly because he is an IRL sweetheart. A midcard Attitude Era stalwart, more over than the vast majority of his successors, also joins in on the celebrations - as does arguably the least effective heel of the Golden Era's dying embers, not that he should be remembered for the offensive dross he was asked to spout. A genuine wrestling renaissance man and a master of maximising one's minutes completes this second string.